Our team has recently received some training on the benefits of Patient and Public Involvement, and the role of the voluntary sector in supporting the work of the NHS. With it came a timely reminder of the NHS England employee volunteering scheme, an opportunity we have all been encouraged to take up. So why should we be working with the third sector? The statistics, for those who are not aware, are fairly shocking: 17 babies are stillborn or die shortly after birth in the UK every day, and 20% of all pregnancies end in miscarriage. Stillbirth is ten times more common in the UK than cot death. However, the societal taboo of talking about miscarriage, stillbirth or neonatal death openly means that many families suffer in silence, particularly if the loss was early enough that the pregnancy was not common knowledge among friends or family. Charities like SANDS and the Miscarriage Association offer peer support unlike anything provided by the NHS, giving women a ‘safe space’ to share their experiences with others who understand their feelings. The growing number of online forums provided by charities, such as via their Facebook pages, shows the role of social media in enabling families to find support as they want it, whenever they need it. To give you an idea of the scale of demand, the Miscarriage Association website has around 50,000 hits every month, and they deal with around 6,000 phone calls and emails every year. The trusted and reliable advice provided by voluntary organisations responds to parents’ needs in a different way than those the statutory services can provide, on both an emotional and practical level. And if you’re feeling the urge to make a difference yourself, there are plenty of charities or groups who would appreciate your support. Trust me, it is well worth it. Jenny Hicken is a Network Delivery Facilitator for the Northern Clinical Networks and Senate. Her personal areas of interest are maternity and child health, living with long term conditions, and the role of social media in health. She joined the NHS in 2009, working for the North East Primary Care Services Agency as a Patient Services Officer. Prior to this she was a Retail Manager looking for a change in career! 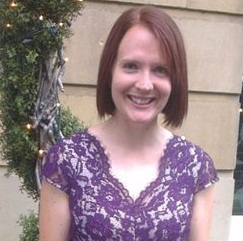 Jenny has a degree in Linguistics from Newcastle University but always wanted to work in healthcare. She undertook self-study with the Open University taking courses in human biology, infectious diseases, and biological psychology. She lives in Newcastle upon Tyne with her husband, who is a teacher, their three year old son Joseph, and two cats.